OK….so as a make-up artist, one of the things that is a non-negotiable is that you have to wear mascara when using make-up. It does wonders to your eyes, and it’s easy to use. Even girls that like a more natural look can use a tinted moisturizer and some mascara, and you will still look stunning! Today, however, we are going to crank it up a notch and try a twist on this classic make-up product. 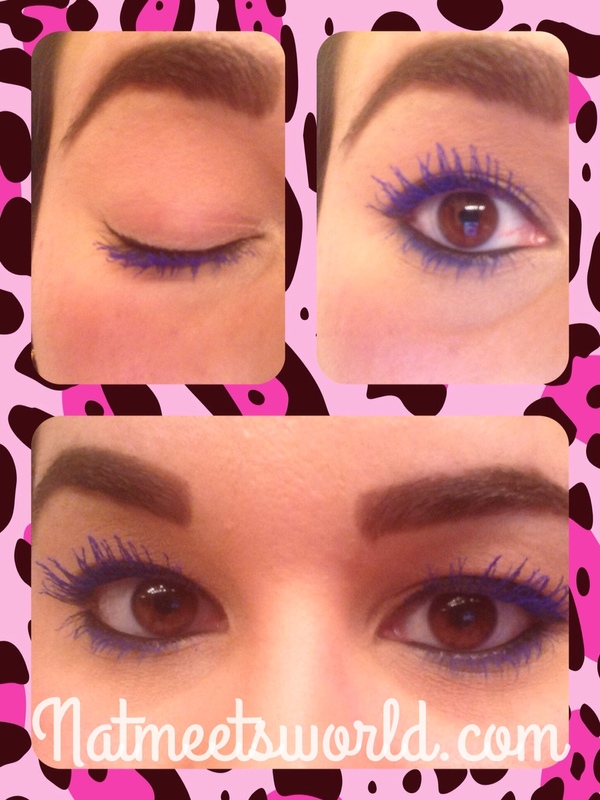 One of my favorite things to use is blue mascara. You can use it in a dramatic look, or a simple day time look. It’s one of those things that adds a little kick of flare. You can find colored mascara at a drug store. Ladies that have light colored lashes can benefit from purchasing the drug store brand. Since my natural lash color is midnight black, I find it difficult using these because the color doesn’t really ‘pop’ and often times no one notices I’m wearing it ( which is the purpose of using colored mascara, right?). 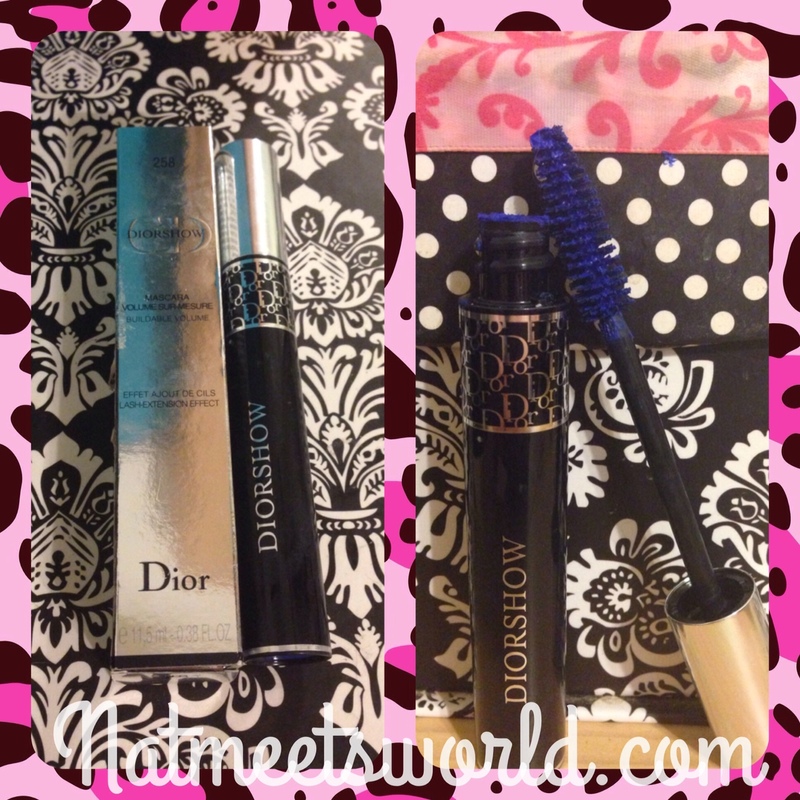 So………meet my holy grail blue mascara, Diorshow in Azure Blue 258 by Christian Dior. 1. Put on an even coat all over your lashes. Do not be disappointed if the blue isn’t showing up yet. Be patient. 2. Dip a q-tip into baby powder and spread a thin layer of the powder on your lashes. This is a trick I learned in cosmetology school for making your lashes appear longer. 3. Wait about a minute, and put on a second coat of mascara. By now the blue color should be evident. Be sure to coat both sides of your lashes if you want them to be noticed when your eyes are closed, or when looking down. When doing a day time look, you may only want to coat one side of your lashes. 4. Keep layering mascara until you have reached your desired look. 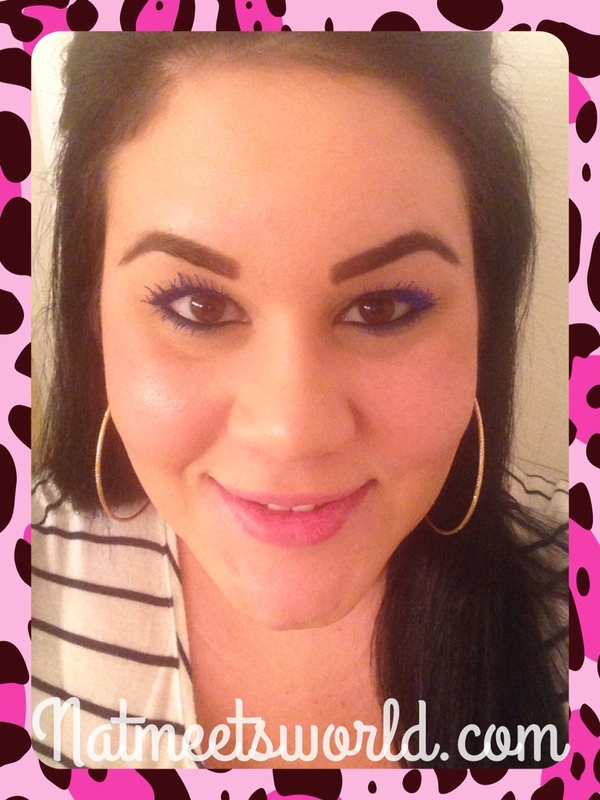 If you want a little more pigment, don’t be afraid to dab some royal blue shadow on your lashes. It will intensify your look, so use very little at a time. 5. When you are finished, don’t forget to tell remind yourself how beautiful you are (This is the most important step ). Here I coated my lashes on one side for a daytime look. Please ignore the funky eyebrows, I’m growing them out. Diorshow can be a bit pricey, however, if you’re like me and you have dark lashes, it is well worth it. Since you probably won’t use it everyday, it will last you a while too. You can purchase Diorshow mascara at Macys, Sephora, or at any other fine retailer. Let me know if you love Diorshow! Comment below! Disclosure: All pictures, experiences, and opinions are my own.